Product prices and availability are accurate as of 2019-04-09 12:44:05 EDT and are subject to change. Any price and availability information displayed on http://www.amazon.com/ at the time of purchase will apply to the purchase of this product. 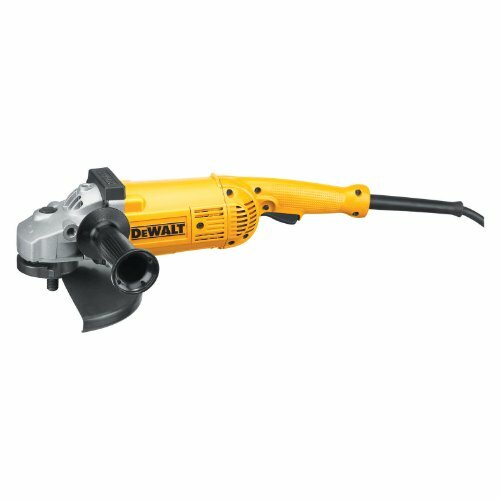 Powerful, efficient, and easy-to-operate, the DeWalt D28499X Heavy-Duty Large Angle Grinder provides dependable, professional performance no matter what the job. Its 5.3 HP, 15 Amp, 6,000 RPM motor with overload protection ensures higher operating speeds, even under heavy loads, so you get smooth, more precise finished products. A keyless design allows you to make guard adjustments without stopping to look for special tools, so you can set-up for specific jobs quickly. A lightweight body, rotating rear handle, and five-position side handle provide improved ergonomics to give you more control over your work and let you can work longer and more comfortably. 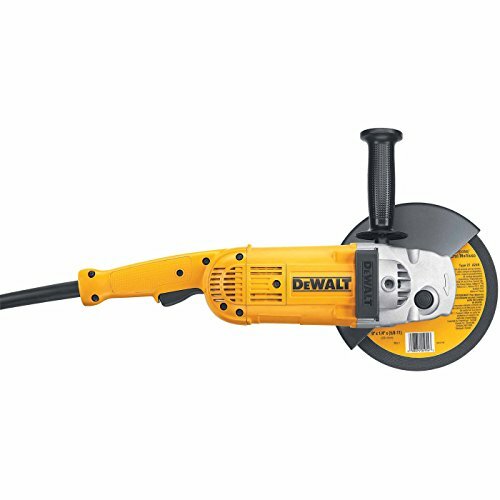 This tool comes with 7- and 9-inch guards, and it offers a low-profile gearcase that allows you to work in tight spaces where other grinders don't fit. 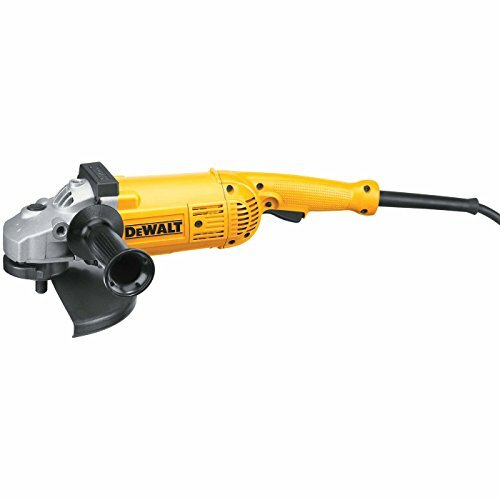 Designed to stand up to long-term heavy-duty use, this grinder offers an epoxy-coated field and armature that protects against abrasion from airborne debris, an automatic turn-off feature that shuts down the tool when brushes need to be changed to avoid tool damage and save you money, and a two-wire double insulated "S" jacket rubber cord for extended life in both hot and cold climates.